Steel Ministry of India is gearing up to achieve the ambitious targets set under National Steel Policy 2017 and has decided to take the challenge head-on with the commencement of efforts to transform the Indian steel sector right from its roots. Dr. Aruna (Limaye) Sharma, secretary for Steel Ministry and an Indian Administrative Services officer of the 1982 batch, while speaking to Steel-360 in an exclusive chat reveals plans and policies of the government to propel the Indian steel industry forward. Q. How is the Steel Ministry gearing up to implement the National Steel Policy 2017? Which of the numerous projects such as port-based clusters, slurry pipelines, underground mining etc are we likely to see implemented this year? Clearances have been taken from Indian Railways for laying slurry pipelines which would bring down transportation costs and aid in the evacuation of fines and pellets. 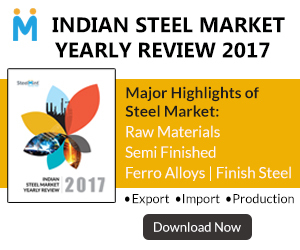 Policy on preference to domestically manufactured iron and steel products has been implemented Life cycle cost analysis clause has been included in GFR guidelines Creation of fresh steel capacities via green-field projects in resource-rich states like Jharkhand, Chhattisgarh, Odisha, and Karnataka, by setting up of the SPVs, is being facilitated. Q. Under the Make in India initiative, preferential purchase of steel will take place from domestic steelmakers. Which are some of the government entities that are expected to buy maximum steel this year? How much of steel would these government entities require and which are some of the key projects? A. Specifics about public sector entities’ future projects may not be readily available to us. However, the government is focusing on the development of infrastructure sector with an overall budget outlay of about INR 4 lakh crore for FY18. With initiatives like ‘Make in India’, paving the way to the overall growth in investment in construction, infrastructure, automobile, shipbuilding and power sectors, the majority of steel demand is bound to come from entities working in these sectors. Q. There is talk in the industry that domestic companies are using the preferential purchase rule to hike prices – will the steel ministry check this? How? A. Domestic steel players had been adversely affected by the predatory pricing strategy followed by a number of foreign players. Moreover, India has steelmaking capacity of 126mt as on 31st March 2017, with a capacity utilization of 77%. Considering the spare capacity and new steel capacity being added, there would be sufficient competition in the domestic steel Industry itself. The policy is also a price regulator in itself in a sense that it provides room for foreign manufacturers to participate in the government tenders if they can do the minimum prescribed value addition in India. Hence, the policy will also provide a boost to the foreign investments which are always welcome through 100% FDI in the steel sector under the automatic route. Q. Despite having 100% FDI in steel India has not been able to get any foreign player to set up a plant with a new technology. In such a scenario how will the government achieve the targeted 300mtproduction by 2030-31? A. In the last decade, i.e. from 2005-06 to 2016-17, 82mtof crude steelmaking capacity has been added in the country. Consumption of finished steel in India has grown at a CAGR of 5% in the last decade as compared to 6% in China (which has shown negative growth in the last 3-4 years) and (-) 2 % in Japan. The government is very positive and upbeat about reaching the projected capacity of 300mt by 2030-31. India is currently the 3rd largest producer of steel with 97.38mt of crude steel production in 2016-17 and poised to become 2nd largest in coming years. In 2016, India has also become the 2nd largest producer of stainless steel. Currently, India is the only steel market of significant size where demand is growing. The Indian steel sector has grown at a CAGR of 3.8% (by value) in the last five years to reach an estimated value of INR 3,610 billion in FY17. Production of crude steel in India has also grown from 78.4mt in FY13 to 97.4mt in FY17, at a CAGR of 4.4%. Construction and infrastructure segments are the major consumers of steel, accounting for more than half of steel demand in India. The sector is expected to grow by 7.1% in FY18 on the back of growing infrastructure investment. Q. In the wake of Posco’s exit, are there other foreign companies that are still interested in building plants? If yes, how is the steel ministry encouraging them? A. 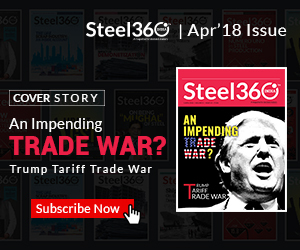 There is already a memorandum of understanding (MoU) signed on 22nd May 2015 by Steel Authority of India Limited (SAIL) with Arcelor Mittal, to set up an automotive steel manufacturing facility under a joint venture arrangement in India, and the JV is under advanced stages of finalization. Tata Steel has a joint venture with Japan’s Nippon Steel for production and sales of automotive cold-rolled flat products at Jamshedpur. The JV is expected to invest $400 million (Rs 1,850 crore) to set up an automobile venture in India. Similarly, Jindal-promoted JSW Steel signed an agreement with Japan’s second largest producer, JFE, to collaborate for making automobile steel. Government is taking various steps to improve the attractiveness to invest in the steel sector. 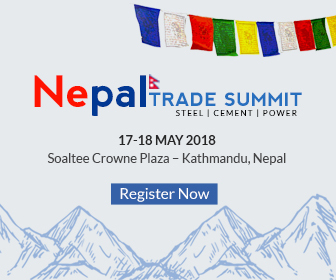 Policy on preference to “domestically manufactured iron and steel products” is a step in this direction, as it mandates for 15% domestic value addition for participation in big government procurement tenders. Foreign companies may come forward for setting up a steel unit in the country in order to become eligible to participate in the tenders and hopefully provide the much-needed boost in terms of FDI in the steel sector. Q. How is the ministry dealing with debts of the steel industry? Will more companies be asked to restructure debt? On one hand, there is the pressure to expand capacities, but the on the other, there are bad debts in the steel sector. Can companies expect any help or waivers etc from the government? of Steel is also making efforts to facilitate credit availability for small steel players in consultation with banks and various investment institutions. Also, with the signing of the new NPA ordinance by the president, steel sector is on the priority of the government to ease out the issues of stressed assets in the sector.